Protect the environment. Oklahoma State fire laws and common sense do not allow the storage of perishables, flammable and other liquids or fuels, explosives, toxic materials or other items that require a controlled environment. Make a complete list of all goods stored. Keep sales receipts, proofs of purchase, owner’s manuals and warranties to prove ownership. Keep all these records in a safe place away from your storage space. Label your containers. Labeling cartons and containers, and take home a list of the labeled cartons for easy reference when you need to locate your property. Fill containers to capacity. Partially full or bulging containers may tip or collapse. Be careful when using newspaper! Ink stains may transfer. Proper ventilation. 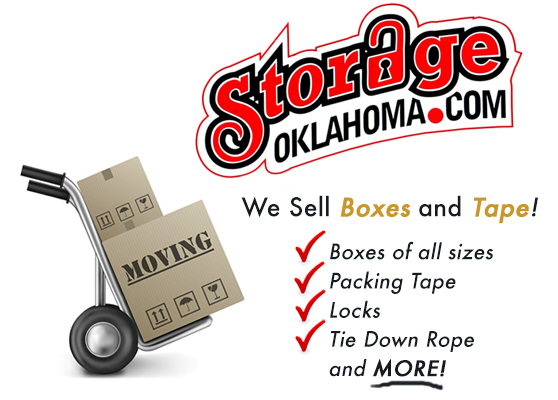 Do not lean stored property against the walls of your storage space. Leaving air space around the units perimeter will aid ventilation and prevent possible water leaks from damaging your property. Do not store food! Food crumbs and stains and spills should be removed from upholstery, clothing and appliances to avoid attracting rodents. Refrigerators and freezers should be thoroughly dry and stored with the door slightly ajar. Make sure that stoves and cooking equipment are thoroughly clean of any food residue before storing. Some items can be stored inside large appliances. Boxes can be stored on top of appliances. Drain your washing machine to avoid freezing and bursting hoses. Clothing, curtain and drapes should be stored on hangers inside wardrobe style boxes. If hanging cartons are not available, such items should be carefully folded and stored in dresser drawers or cedar chests. Put curtain rod materials in a plastic bag and tape the to the curtain rod. Bundle curtain rods. Pack books flat to protect their spines. Do not place cardboard boxes directly on concrete floors to prevent minimal moisture absorption. Fill empty spaces to prevent collapse. 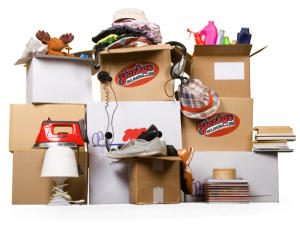 Do not pack fragile items in the same box with books and do not overload boxes. Look into purchasing dish pack dividers for fine china and crystal. Wrap items in bubble wrap and cover with linens for additional protection. Otherwise, place a packing layer at the bottom of any boxes containing breakables. All glass items should be individually wrapped. Nest cups and bowls, stand plates, platters and saucers on edge. Wrapped glasses should be placed at the top of the cartons. Again, fill all pockets with packing material Cover with an additional layer of packing and label accordingly. 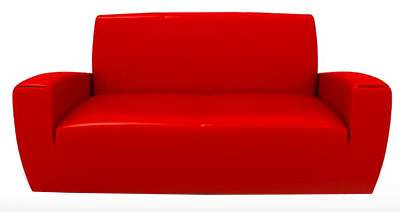 Do not stand sofas or love seats on ends or allow upholstery to have contact with concrete floors to avoid moisture absorption. Disassemble beds and tables and wrap legs in paper. Tape hardware in baggies to the underside of the table tops. Bundles bed rails and tables legs. Lightweight chairs may be stacked seat to seat with paper or cloth between or placed upside down on tables that may not come apart. Use dresser tops for stacking cartons and drawers for linens and small delicate items. Metal items should be cleaned and wiped with a rag containing a few drops of machine oil. Long-handled tools such as rakes, hoes and shovels should be clean lightly oiled and tied in bundles. Pack smaller tools in toolboxes. Wrap lamps and shades in bubblewrap and store in separate boxes. Mirrors and artwork should be carefully wrapped and stored on edge. Phonograph records should be stored on edge to prevent warping.